Get moving in the mornings! It's Walk To Work Day - and we're taking no excuses! It can be tricky to fit exercise into our busy schedules, but keeping fit needn’t mean dedicating hours to working out in the gym. There are lots of ways you can build more activity into your daily life – like walking! It might sound obvious, but finding ways to fit in a few more steps every day can really help you to get fitter, burn calories and feel better! This could be going on an evening stroll, getting off the bus a few stops earlier and walking the rest of the way or hitting the pavement for your morning commute. 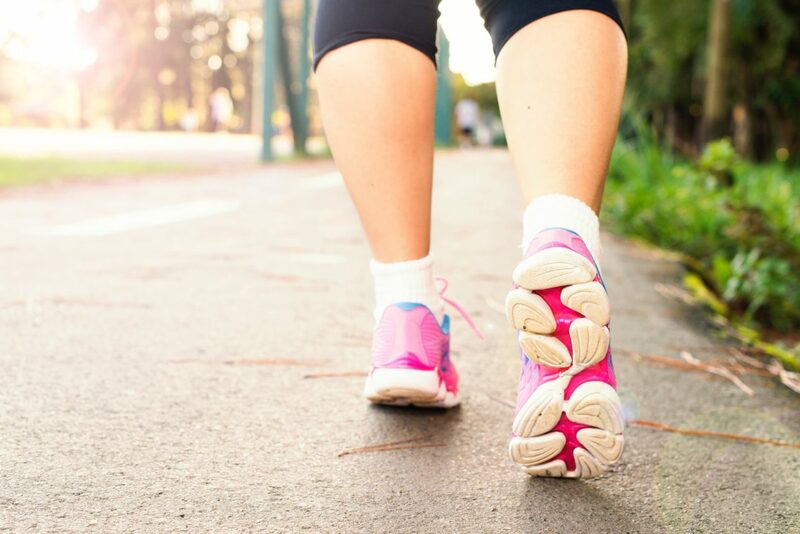 Today it is Walk to Work Day – a day where we want to encourage you to take some small steps (excuse the pun) towards building a bit more activity into your daily routine. Set your alarm a little earlier, make an on-the-go breakfast (or eat al-desko) like a superfood smoothie or a pot of overnight oats, and make time! Plus, you might be surprised – if you work in a busy town or city, it’s actually often quicker to walk rather than sit in rush hour traffic. Fair enough, but you could drive part the way and park your car a few roads away from your workplace. Or, get off the bus or train a stop or two earlier and walk the rest of the way. And if that’s not possible, why not take a lunchtime power walk instead? Just 10 minutes of walking every day is enough to elevate your heart rate and reap the health benefits of getting some extra steps in. 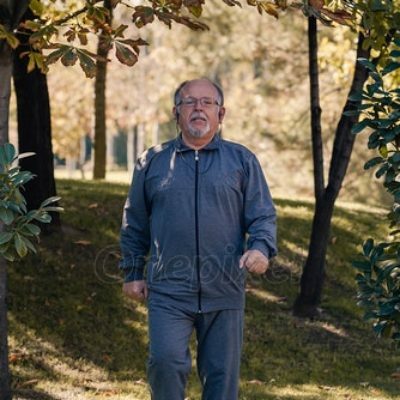 Ok, we’re lucky that we can wear Lycra and Nike Airs to work at BeeZee Bodies, but even the suavest city slicker can still hit the pavements in comfort. Invest in a lightweight backpack to carry your stilletos (or work footwear of choice) and wear trainers on your on-foot commute. Or find some smart-ish yet comfy shoes that you could get away with wearing all day. Worried about getting sweaty? More boring than sitting in traffic, really?! Get some quality tunes on and get strutting! We’ve even made a BeeZee Bodies Walk to Work playlist to get you in the groove. You could even get a colleague involved and make it a healthy habit together! That’s OK! The beauty of walking is that it’s a form of exercise that everybody can take at their own pace! Start slow and/or walk shorter distances and build up to a brisker pace and further walk. Why not get off the bus one stop earlier every week, until you’re only riding the bus for a few minutes? You’ll soon be able to walk the whole way! Or, walk the entire way but allow more time to take it slowly. As you build the stamina to speed up, you’ll be able to enjoy a few more minutes in bed in the mornings! The NHS suggest a ‘brisk walk’ counts towards your recommended 150 minutes of weekly activity and describe ‘brisk’ as 3 miles per hour. You should be able to hold a conversation, but feel a little breathy! Improve your cardiovascular fitness, resulting in feeling fitter AND reducing your risk of heart conditions. It’s useful! You’re actually getting somewhere, not just wasting time on a treadmill! You’ll get fresh air and feel happier for it!